Video evidence of a strange ‘cyclops’ goat has emerged online, showing two men studying the malformed one-eyed kid in bafflement. 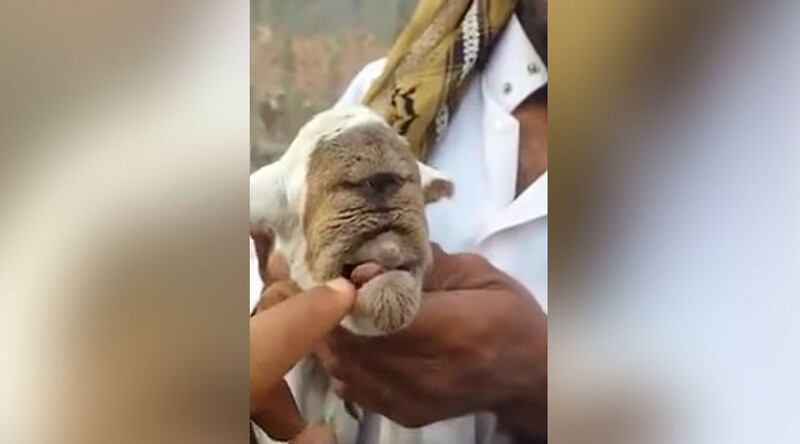 In a video posted on LiveLeak, the unusual-looking creature sports an underdeveloped mouth and nose. Luckily for the men present, the animal is quite a measure smaller than the savage one-eyed giants fought by Odysseus in Homer’s Ancient Greek epic, ‘Odyssey’. The bizarre clip of the mutant goat has so far gained more than 50,000 views online.